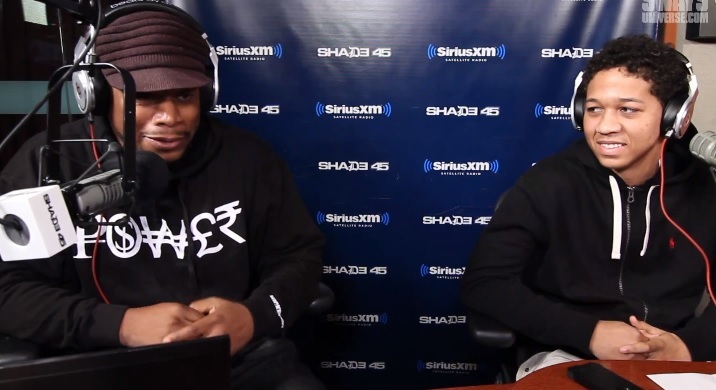 Lil Bibby catches up with Sway Calloway and Heather B for SiriusXM’s Sway In The Morning show. The young Chicago bred rapper discusses what the streets of his hometown are really like and openly admits that the people he surrounds himself with simply live day to day. In fact, Bibby explains that he’s actually a college dropout and never had plans of finishing or going to college like so many of his friends. Take a look as Lil Bibby shares his thoughts on women, selling drugs, education and so much more. This entry was posted in In The Studio, Interview, Video and tagged chicago, drugs, Gangs, heather b, high school dropout, hip hop, Interview, lil bibby, radio, rap, Sway Calloway. Bookmark the permalink.